The Rockstone Cottage in the City is a contemporary 2 bedroomed house, on a no through road, within walking distance of the city centre. The property has an open plan lounge dining and kitchen. 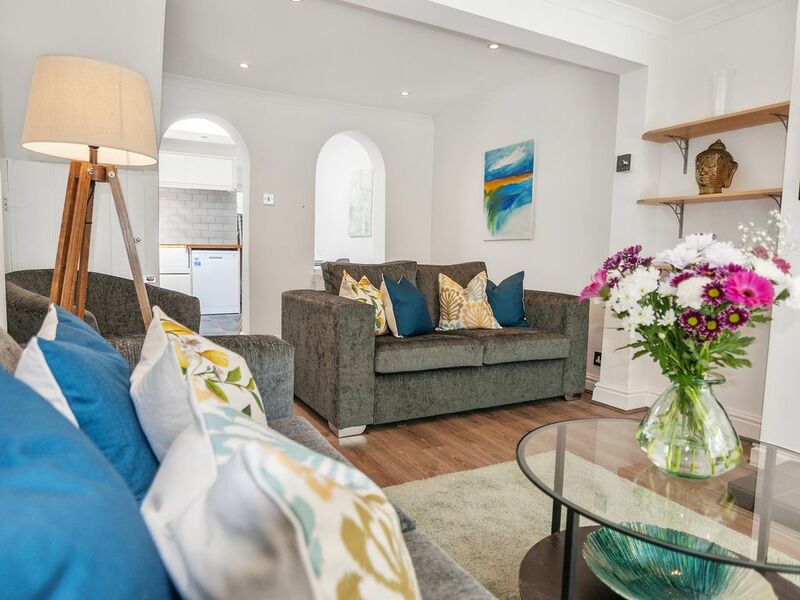 A fully fitted kitchen, with washer/dryer, dishwasher, Nespresso coffee maker, and microwave allows full flexibility for self catering if required, along with a selection of complimentary tea and coffee which guests can enjoy. Complete with free high speed fibre broadband wifi, along with TV from Virgin Media. Watching on the 43" smart tv guests can also log into your own Netflix account when you are way from home. The bathroom has a bath with a monsoon shower, with complimentary toiletries. Thanks Andrew for a wonderful stay at your beautiful property. The house was extremely comfortable., very clean and had everything we needed. We will definitely look at place again for future visits to South Hampton. The information and communication Andrew provided made it very easy to arrive , settle in and enjoy. Thanks again .